 Choose a 2 or 3-course meal from our Private Dining Menu which includes some delicious classic dishes with our own Torrance twist. Our conservatory and choice of two function suites are the perfect settings for those celebrations or special occasions you wish to celebrate. Our spacious state-of-the-art conservatory and choice of two function suites are the perfect settings for those celebrations or special occasions you wish to celebrate. Filled with natural daylight and it’s own private bar, this space is perfect for an unforgettable party or celebration. Our Private Dining menu is filled with a range of choices that will appeal to all tastes. If you have specific requirements or would like to discuss menus then please arrange an appointment with our events team.